The sticker shows a typical image of evolution. It starts with small apes and builds its way up to an image of today's man. On the ape there is a Spanish flag. 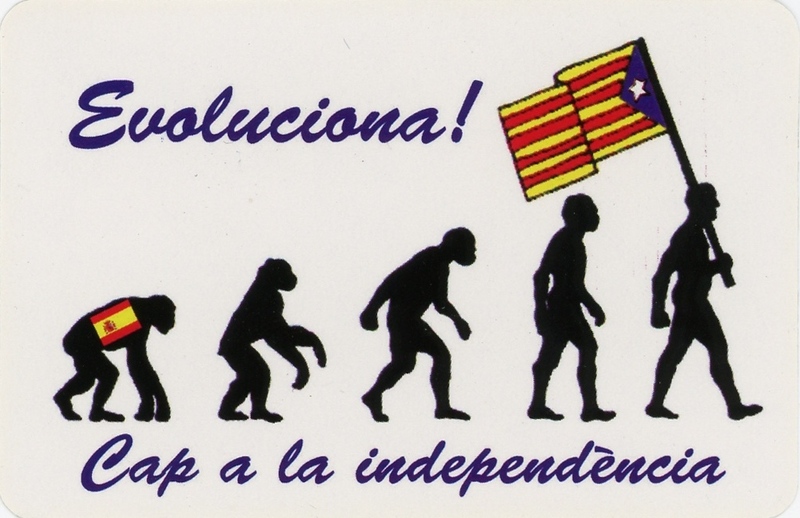 The man at the end of the evolution sequence is holding a Catalan Independence Flag. These images imply that Spain is in the past for the people of Catalonia and they are moving forward in the direction of independence.